The Late Mr. Archibald Brown. Mr. Archibald Brown was an active member of the Society for many years, and rendered excellent service in various capacities. As a young man, he was, for a considerable time, an Inspector of Branches for the Capital and Counties Bank. During that period he was sent to Greece on business for the Bank, and was there for practically five years. 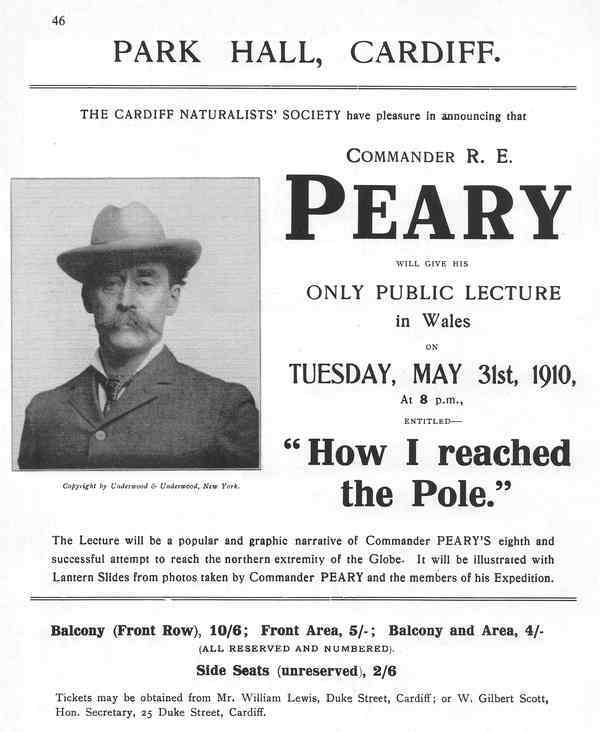 On his marriage, in 1885, he accepted an appointment as Manager of the Ledbury Branch, and remained there until 1896, when he was appointed Manager of a branch of the County of Gloucester Bank at St. Mary Street, Cardiff. When that Bank was amalgamated with Lloyds Bank he was transferred to the Cardiff Docks, and was Manager of that important branch until his retirement in 1916. Mr. Brown joined the Society in 1898, and at once took an active interest in it. 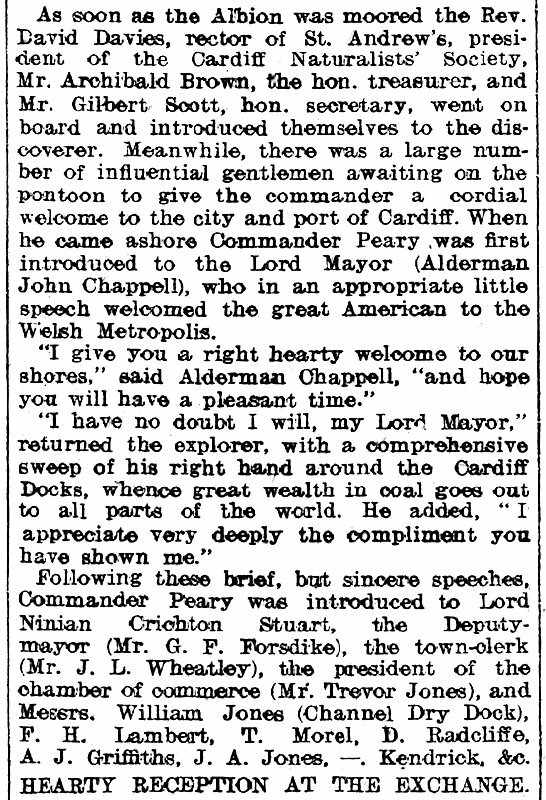 He was elected a member of the Council in 1905, and three years later became President. The subject of his Presidential Address on the 15th October, 1908, was "A Visit to Cephalonia and the Sea Mills of Argostoli." During his year of office as President a vacancy arose in the office of Honorary Treasurer of the Society, and, at the earnest wish of the Council, Mr. Brown accepted the position, which he occupied, with considerable benefit to the Society, up to the time of his resignation in 1921. On his retirement from active business, Mr. Brown moved to Clifton, but continued to keep in touch with Cardiff through various Directorships which he held, and, in fact, he travelled to Cardiff almost daily. 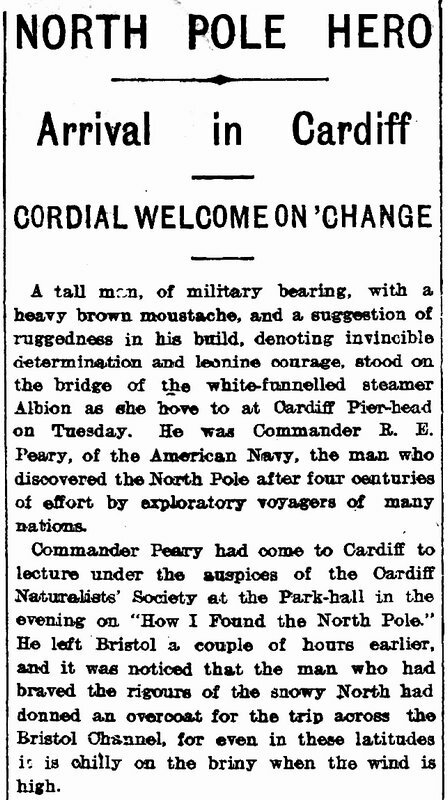 He passed away suddenly on the 26th January, 1922, immediately on his arrival home from a visit to Cardiff.